ScandiNova is by its break-through technology a world leader in development and production of Pulsed Power Systems with high power levels. The product range covers pulse modulators, generators, turnkey radio frequency (RF) systems and e-gun modulators, all using solid-state technology. The solutions have a key function in scientific applications, radiation therapy, cargo inspection, radar, industrial X-ray, sterilization, electroporation and in other industrial applications. Thanks to our modular design we can offer systems that handle a wide range of loads (magnetrons and klystrons) and needs all the way to RF peak power of 100 MW. 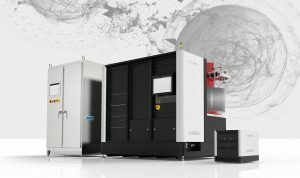 As one of the few players in the market ScandiNova has the capability to take care of everything, including integrating the magnetron/klystron, cooling system and low-level RF. Typical Voltage range of pulses is 1 kV – 500 kV. The pulse repetition is typically in the range 1-1000Hz, but even several kHz operation is possible for special designs. More than 95% of the production is exported to clients in 40 countries, mainly in Europe, Asia and North America. 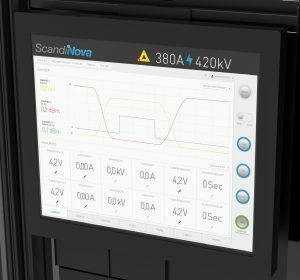 ScandiNova Systems AB, a spin-off from Scanditronix, was founded in 2001, by people with long commercial and technical experience in pulsed power applications. The company has its head-office in Uppsala, Sweden with 65 employees and sales representatives in each sales region over the world. ScandiNova’s unique technology breakthroughs have changed the rules of the industry. Reliable and high precision pulses lead to improved control, performance, significantly decreased power consumption and lower maintenance costs. The innovation is built on three principle technology concepts: Split Core™, Parallel Switching™ and Pulse to Pulse Control™. It all began way back in 1995 when the search for perfect pulse led the R&D team to use a split-core transformer – the essential condition for successful solid state technology. SOLID STATE MAGNETRON MODULATORS (M-SERIES) – M050, M100, M200. A complete set of magnetron modulator with RF Peak Power in the range from 0.2 MW to 5 MW. Most models are available as integrated or stand-alone versions as well as single or dual energy. SOLID STATE KLYSTRON MODULATOR (K-SERIES) – K100, K200, K300, K400, K500. A complete modular set of klystron modulators with RF Peak Power in the range from 3 MW to 100 MW. SOLID STATE PULSE GENERATORS (PG-SERIES) – PG050, PG200. Designed to provide electrical pulses up to 36 MW, the PG series pulse generators are used in demanding industrial applications and are perfectly suited for Pulsed Electric Field (PEF) applications. E-GUN MODULATORS (E-SERIES) – E100. Designed to handle electron guns up to 30 KW with maximum peak voltages of 30 KV and maximum peak current of 1 amps. Learn more about us at www.scandinovasystems.com.